EghtesadOnline: National Iranian Oil Company announced that it will launch crude oil futures by the last week of October, with one million barrels of crude oil to be offered on Iran Energy Exchange international platform. In a notice published on its website, the company said the move is in line with principles of the Resistance Economy outlined by the Leader Ayatollah Seyyed Ali Khamenei, which emphasizes curbs on overdependence on oil revenues, promoting economic diversity and domestic manufactures and bigger role for private enterprise. "Accordingly and with respect to the legal framework and key principles finalized by relevant authorities, NIOC in collaboration with Iran Energy Exchange and Central Securities Depository of Iran have devised the mechanism and details of the measure," the company said. According to Financial Tribune, Iran has been striving to launch a crude futures by letting players other than the Oil Ministry take part in the business of crude oil exports. First Vice President Esh'haq Jahangiri said in summer that the government was finalizing measures to list oil trade on the stock market. "Iran's crude oil will be offered at the bourse so that private companies can (also) buy and export it," Jahangiri said, adding that the move was aimed at containing the mounting US animosity and its declared policy to undermine Iranian oil exports. Securities and Exchange Organization Head Shapour Mohammadi said in July that the conditions are ready for offering crude oil on IRENEX. He had expressed the hope that trading crude on IRENEX would start soon through follow-up measures by the oil and economy ministries. US President Donald Trump's decision to withdraw from an international agreement to curb Iran's nuclear program has resulted in new sanctions imposed on Iran’s financial, automotive, aviation and metals sectors. The US State Department has set Nov. 4 as a deadline for Iranian oil buyers to cut their purchases to avoid American sanctions. Iran is currently one of the largest oil exporters in the world. Cutting off Iranian supplies is expected to add new threats and more volatility to the global oil market. According to NIOC, oil trading on IRENEX will be 20% in the rial and 80% in foreign currency. The settlement of the rial portion will take place in cash before the cargo is delivered and settlement of the foreign currency part will be on credit against a valid bank guarantee after cargo delivery. Crude buyers should make the foreign currency payment within the determined period after cargo loading, which will be made known in the offer announcement. To be able to take part in futures trading, crude buyers should pay 10% of the value of the order in rials as pre-payment to an account owned by CSDI which will be considered a portion of the 20% rial payment if the deal is finalized. Buyers will compete based upon a base price announced by the NIOC. The entity hopes that such a competitive mechanism can lead to a "transparent and proper price discovery." 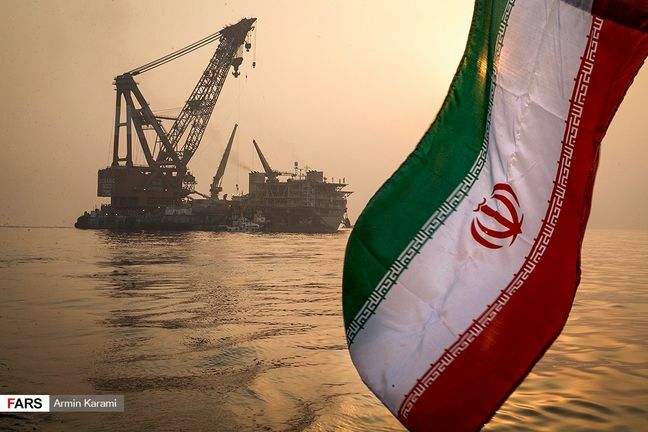 "Crude delivery to buyers is possible in 5,000 ton-cargos (equivalent to about 35,000 standard barrels and buyers can aggregate their purchase contracts in order to receive bigger cargoes," NIOC said, adding that cargoes can be sent to all destinations except Israel. Other details about the sales mechanism including the base price, how the cargo will be delivered, temporary and final reimbursements and conditions of the payment guarantee will be announced in the offering notice. Will Iran's New Move to Lure Foreign Investors Work?